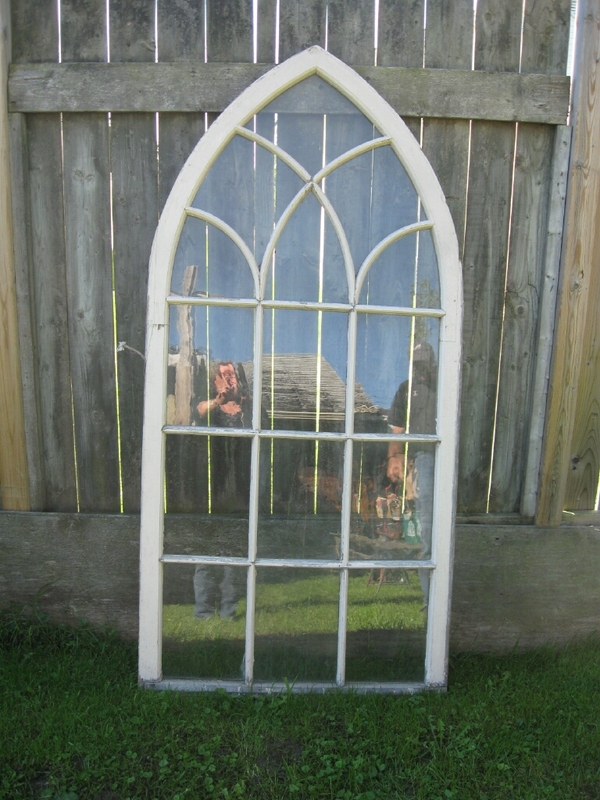 Great architecture in this Gothic window in old white paint out of Huron County. This window could be left the way it is or it could be glazed for a mirror. Circa 1875.